When the layer of fat beneath our facial skin begins to thin, the volume loss contributes to hollows and contour changes especially around the eyes. The deflated appearance due to loss of facial fat makes the face looks older and more tired. Cosmetic surgeons perform facial rejuvenation procedures for patients who want an improvement on their facial skin texture and volume. 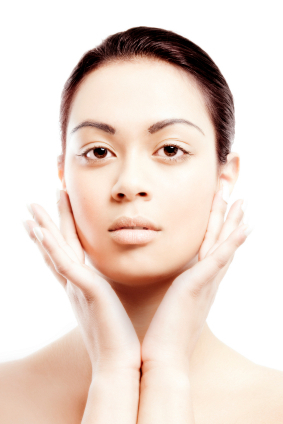 Facial rejuvenation surgery requires replacing the lost fat. Improving the volume of the face makes one look younger and healthier. Fat transfer is also called micro-lipo injection or autologous fat transplantation. This cosmetic procedure improves fullness of facial features with a patient’s own fat. Fat transfer is popular alternative to treatments for wrinkles. Fat transfer is designed to re-contour your face and can provide definition to your cheeks and chin. It can be used to correct skin deformities such as deep furrows, facial wrinkles and other depressions on other body areas. Since this treatment uses your own fat cells, allergic or rejection reaction will not occur. Autologous fat transfer offers several major benefits. Aside from improving the appearance of aging face, autologous fat transfer is natural. The material used is not from animals or synthetic products. The fat can be used to correct facial skin imperfections which include scars and depressions; it is also an excellent complement to facial resurfacing treatments. Facial fat injections last significantly longer than other injectable cosmetic products. Additionally, autologous fat transfer is a safe procedure; you don’t have to worry about rejection reaction because the transplantation is from your own body. The risks of fat transfer are minimal. There is a possible risk for swelling and soreness but they are not experienced by all patients. Rare complications of fat transfer include: allergic reaction to the local anesthetic, permanent discoloration due to ruptured blood vessel at the treatment site, bleeding, calcification, distorted appearance as a result of over correction, formation of blood clot at the donor or treatment site, fat embolism when fat injection is mistakenly introduced into a blood vessel, infection and scarring. Adults who would like to have a younger looking face by reducing or eliminating the appearance of creases, wrinkles, furrows, smile lines or frown lines or depressions in the face are ideal candidates for fat transfer. Fat injection can also be used for lip augmentation. Patients of younger age may be eligible for autologous fat transfer in some cases. Patients who have lipoatrophy, a condition characterized by the loss of the layer of fat in the face that forms the contours of the cheeks and jaw line can benefit from fat transfer. During initial consultation, be sure to disclose your health history and habits such as smoking and use of birth control pills, blood-thinners and other drugs for your physician to determine if you are eligible for fat transfer. What areas of the face can be treated with fat transfer? Creases in the forehead or in between the eyebrows, and hollows under the eyes can be treated with fat transfer. Fat injection can also improve the contour around the nose, the jaw line, the area between the upper lip and the nose, and the temples. Fat transfer can correct scars and any area at the face or neck that needs to be filled with fat. It is important to discuss all your concerns and expectation with a cosmetic surgeon or before undergoing a fat transfer procedure. During consultation, your cosmetic surgeon will assess the potential harvesting site for obtaining the fat to be used in the fat transfer procedure. Your doctor will inform you of what medicines to avoid. You may be advised against the intake of Aspirin, Vitamin E or anti inflammatory drugs for a couple of weeks before and after your procedure. Notify the doctor if you have any medical problems such as allergies to any drugs and dressings. You may have a light meal and liquid 6 hours prior to the procedure, but should verify with your doctor if this would be required for your case. Fat transfer may be performed with local anesthetic or with light sedation. It can be done either in a hospital or cosmetic outpatient clinic. Generally, the amount of fat transferred will dictate how long it will be before you can leave. The harvest area and transfer area both treated with antiseptic. Using a very small cannula, fat is suctioned from the donor site- a location that has a thick layer of fat such as lower stomach, thigh or buttocks. Fat cells are or drawn into the syringe, purified and then carefully re-injected into the recipient site. The process has to be repeated until the desired amount of fat has been transferred and the defect corrected. To prevent blood clots and swelling, a pressure bandage is applied to the donor area. It typically requires three fresh fat transfers to achieve full correction. The outcome of fat transfer procedure is not always the same. In some cases, the results will last a few years, while experience change only for a few months. Some people may need 3 or 4 fat injections over a 6-month period. What should I expect after the fat transfer procedure? You may experience some oozing from the where that fat has been taken. Temporary discomfort such as stinging, burning sensation and throbbing may be felt. Some swelling, bruising or redness in both donor and recipient sites may occur. Swelling may last several weeks. Redness and bruising usually lasts for a couple of days. Your doctor may advise you to avoid exposing scars to the sun for at least 12 months. In case sun exposure in unavoidable, it is recommended to use a strong sun block. You should keep the surgical tapes on and replace them when they come off. It is important to check the sited daily for signs of infection. While you still have sutures or drains, you must avoid swimming or soaking in the tub. Post-fat transfer patients are usually advised to stay out of the sun until redness and bruising subsides. How much does fat transfer treatment costs? One of the factors that affect the treatment cost is the extent of the area(s) to be treated. The indication for surgery is another major consideration, the cost of lip augmentation, for example, differs significantly from lipoatrophy correction. Fat transfers performed as an outpatient may be cheaper that in-hospital treatment. The cost of the procedure would also depend on the geographical area where you will have the treatment done. Fat transfer costs may range from $700 to $8700. What kind of results can I expect from fat transfer? Expect improvement of skin texture and fullness in the treated areas. The facial contour will have a better appearance. Regular follow-up treatments may be required. Some cases may call for repeated treatments to be able to achieve the final desired result. Results are permanent but weight loss or the normal aging process may lead to volume loss.